anyways.. i wanted to share three quick little hairstyles you can do for valentine’s day or really any other day. i don’t consider myself to be a hair expert so these are all really easy to do and don’t take much time, either. also! these hairstyles can be done on any length or thicknesss of hair - call it coincidence or the fact that i don’t like to do anything elaborate and have never worn extensions. maybe it was because i was a cheerleader in high school, but i will always love a good bow! obviously i don’t think my big oversized cheer bows are great for everyday anymore, but i will still use little ribbons now and again. the bow pictured was actually part of a headband at a little girls’ store that i just cut off and attached to a bobby pin to, then pinned to the end of my bow. 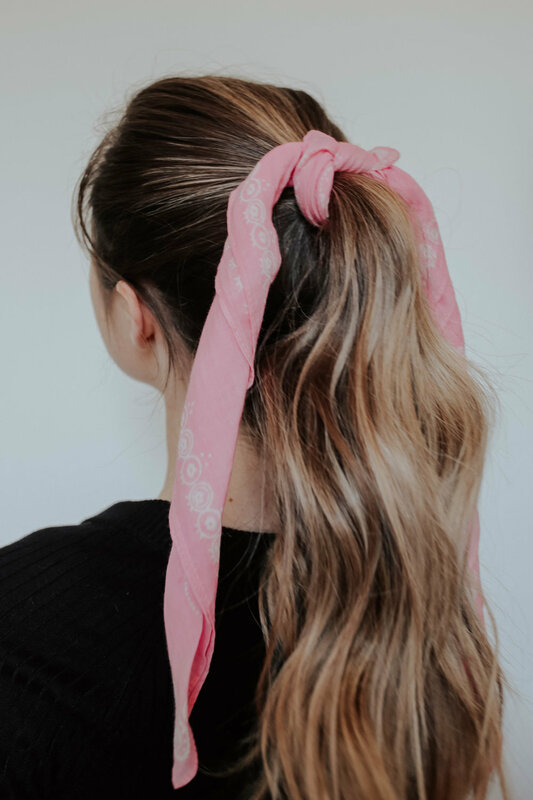 adding ribbons or bows finishes a look and slightly elevates it without having to do anything fancy - i just did a regular three-strand braid and pulled it apart slightly to make it bigger. click here to shop the Kristin Ess Rose Gold Temporary tint.